Charcoal usually brings to mind the mouth-watering smell of grilled burgers and summer barbecues, but it’s also the latest trend in beauty and detox, especially an activated form that doctors use to treat poisoning. “Activated charcoal has been used successfully for the emergency treatment of ingested poisons,” says New York dermatologist Jody A. Levine, MD. 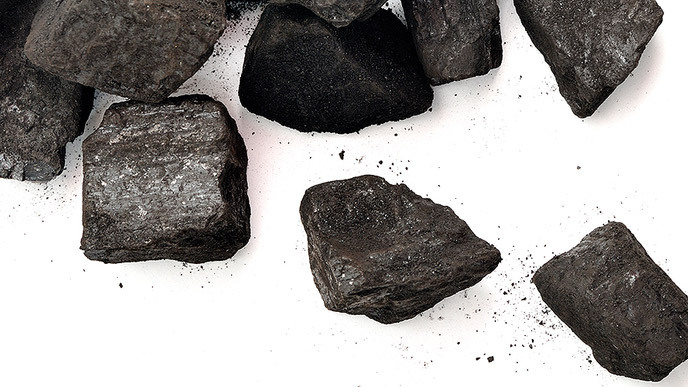 When regular coal is heated up (the “activation” process), airy pockets called pores are formed. When this activated charcoal is spread over skin or ingested, it’s these pores that trap toxins. “Activated charcoal has the power to remove impurities but has a slight drying effect,” says dermatologist Elizabeth Tanzi, MD, Co-director of the Washington Institute of Dermatologic Laser Surgery, who recommends the ingredient for oily or acne-prone skin types. For a clearer, brighter complexion, juice companies are now adding activated charcoal into beauty drinks, which claim to detoxify skin from the inside out. But according to New York nutritionist Jessica Marcus, RD, CDN, there isn’t enough research yet to support these claims. “I recommend getting the okay from your physician before drinking activated charcoal to be sure it won’t interact with any medications. Keep in mind that activated charcoal can also bind to vitamins and minerals, leaching them from the body,” cautions Marcus. She also notes that a healthy diet filled with vegetables, fruits, purified water, hormone-free animal products and minimal amounts of processed foods should crank up the body’s natural detoxification process and reveal glowing skin. Using activated charcoal to naturally whiten teeth has gone viral online, and New York cosmetic dentist Marc Lowenberg, DDS, of Lowenberg, Lituchy & Kantor is an advocate. “An activated charcoal rinse pulls out tannins, which are teeth-staining culprits in coffee, tea and wine,” explains Lowenberg, who recommends buying activated charcoal from a health food store, breaking it up into a powder, adding water to create a paste, and then dabbing on teeth. Allow the paste to sit for a few minutes before rinsing. You can safely repeat the process several times a week, according to Lowenberg. Juice Generation Activated Greens: Blake Lively, Michelle Williams and Edward Norton are all fans of Juice Generation, which just launched this new cold-pressed juice that combines greens with activated charcoal to cleanse the body and brighten skin. For green juice-phobes, Juice Generation offers Activated Protein and Activated Lemonade alternatives. Juice Served Here 19 Charcoal Lemonade mixes activated charcoal with Montmorillonite clay, lemon and alkaline water for a detoxifying drink that may help ease hangovers. Origins Clear Improvement combines activated charcoal with white clay to draw out and absorb toxins, while lecithin diffuses pollutants in this facial mask. Peter Thomas Roth Irish Moor Mud is a facial mask that uses nutrient-dense mud, Hijiki seaweed, volcanic ash and activated charcoal to purge pores and minimize fine lines. Yes To Tomatoes Activated Charcoal Bar Soap contains calcium, iron, magnesium and activated charcoal mixed with certified sustainable palm oil to help purify and deep clean skin.